Sized to fit many turntable models. Please call to discuss your specific turntable before placing your order. 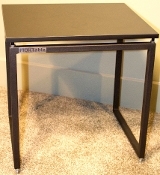 Specifications and a full description can be found on our NOKTable Product Information web page.